“A grassroots effort to restore and maintain public transportation options for residents of the Mon Valley was celebrated Monday night in Rankin. 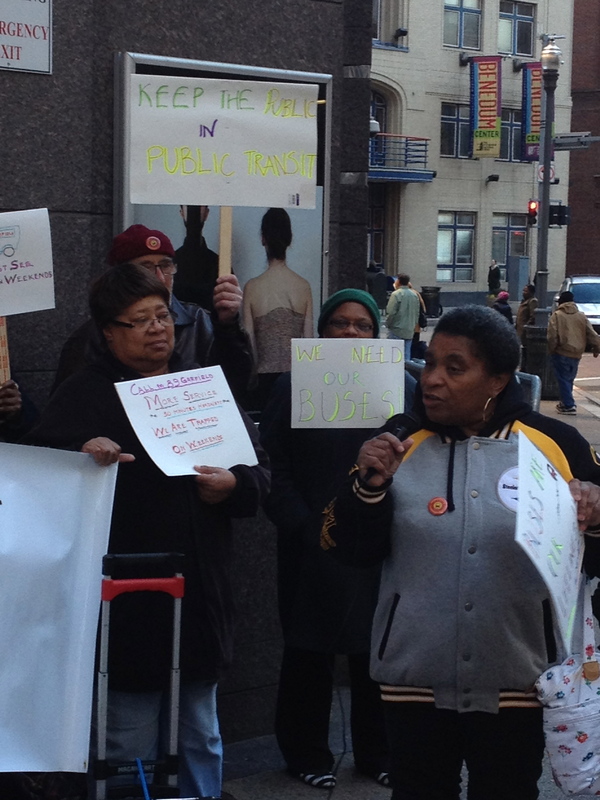 But the message of Pittsburghers for Public Transit was clear: More work needs to be done. The event at the Rankin Christian Center began with a victory party of sorts. Then the issue of access to public transportation for those who need it most — particularly low-income residents — took on a human face, with an eye on the future. “The parking garage is the first step in a proposal to link Bakery Square, home to a Google office, to a new busway station that would also serve Hamilton Avenue in Larimer. Pittsburgh City Councilors Ricky Burgess and Erika Strassburger have given the project support, saying it will spur economic development and help create affordable housing. But Laura Wiens of advocacy group Pittsburghers for Public Transit says the development’s two transit-related visions are antithetical. Wiens says it would be better to encourage and improve Bakery Square’s existing public-transit access. 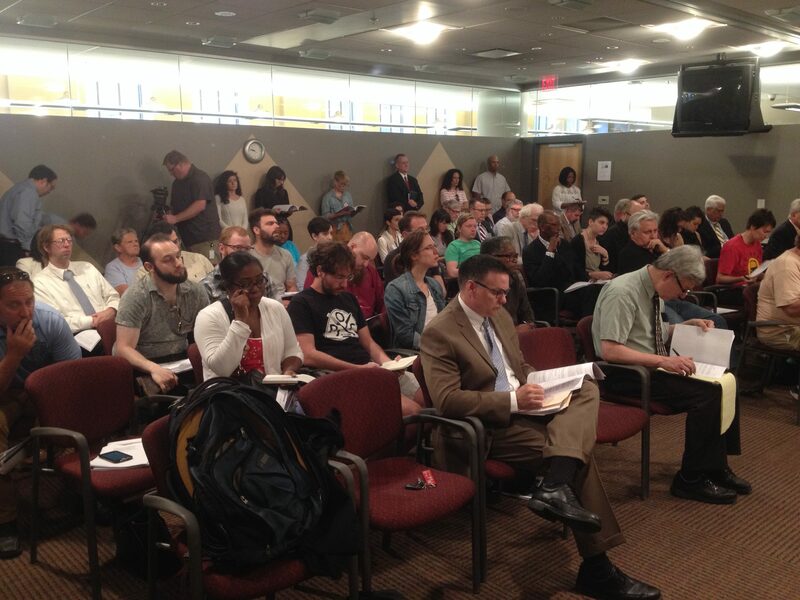 “Others in attendance Thursday spoke about how Amazon could displace residents.They argued that HQ2 would drive up housing and rent costs and force people to move outside of the city, where they would be farther from doctor’s offices and bus lines. “Laura Wiens of Pittsburghers for Public Transit applauded the incremental progress the Port Authority has seen in winning the $500,000 grant for the agency’s first electric bus, but said there are multiple funding sources available that could help build a large scale fleet of electric buses. She mentioned that Pennsylvania is receiving about $118 million in a settlement from auto manufacturer Volkswagen. Wiens said some of that money could go to purchasing electric buses. “I think its worth pointing out the hypocrisy of having a set of development principles that talk about equity and transparency and public process, and when it would be most consequential to be applying those principles to a bid that will transform development in Pittsburgh for generations, they’re not using them,” Wiens said. Laura Wiens, head of transit advocacy group Pittsburghers for Public Transit, said Peduto’s failure to release Pittsburgh’s bid for Amazon second headquarters, also called HQ2, flies in the face of the values held up by p4. She also called on Peduto to make Pittsburgh’s bid to Amazon public. Wiens also said that if Amazon chooses Pittsburgh, it could lead to massive rent increases and bring an influx of wealthy developers to speculate on properties across the city. (Housing speculation is typically when people buy cheap properties and flip them for large profits when a neighborhood is redeveloped). Wiens noted that Seattle, home to Amazon, has seen exponential price increases over the years, and she worries that would happen in Pittsburgh. “[Housing] speculation isn’t something either the mayor or Amazon can control,” said Wiens. Crystal Jennings, also of Pittsburghers for Public Transit, criticized the subsidies that could be offered to lure Amazon to the Steel City. According to the Philadelphia Inquirer, Pennsylvania officials are offering $1 billion in tax breaks to attract the tech giant to either Pittsburgh or Philadelphia. Jennings said those subsidies could be used more efficiently and more equitably. “Why not give those tax breaks to scores of small, minority-owned businesses?” asked Jennings. 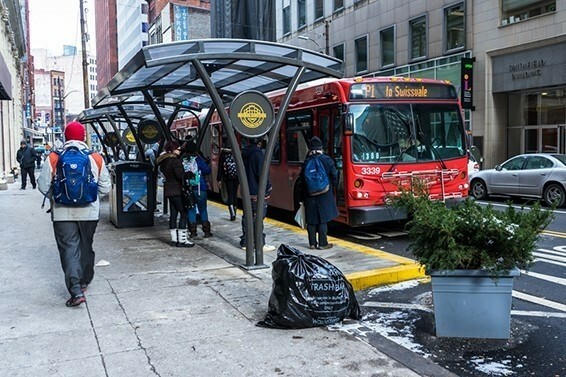 “It’s an amazing improvement, said Laura Wiens, director of Pittsburghers for Public Transit. Check out the video of the panel here. “There is a silver bullet narrative that goes along with [autonomous vehicle (AV)] technologies. To hear the companies tell it, AVs will eliminate congestion and air pollutants, provide faster and better transit access for underserved communities, eliminate parking lots and provide more available housing space and generate higher tax revenue from land use, increase safety, reduce operational costs, and give us new leisure time as we transition into our LED lit AI future. But I’m going to paint a more realistic scenario, absent some pretty serious regulatory sticks. In 5 years, rich people in Fox Chapel are going to buy their own autonomous vehicles, have their cars drive them downtown and drop them off at work, then have the cars go home to park in the garage and wait to pick them up, driverless, at the end of the day. That’s double the emissions, double the congestion, in gas-powered vehicles…. Where they don’t operate, on the other hand, are Penn Hills, Duquesne, North Versailles, East Pittsburgh, and Braddock, and if folks from these communities can’t now afford to do their daily commute by Uber, they sure as hell won’t be able to afford an autonomous ride in a more expensive car in 5 years. “That 25-cent difference adds up. Over the course of a week, a cash rider with no transfers commuting to and from work pays $2.50 more than a ConnectCard rider. They would pay $10 more per month and $120 more per year. If they must transfer buses, the difference they’re paying widens further……….The higher cash fare “is something we’ve raised repeatedly. 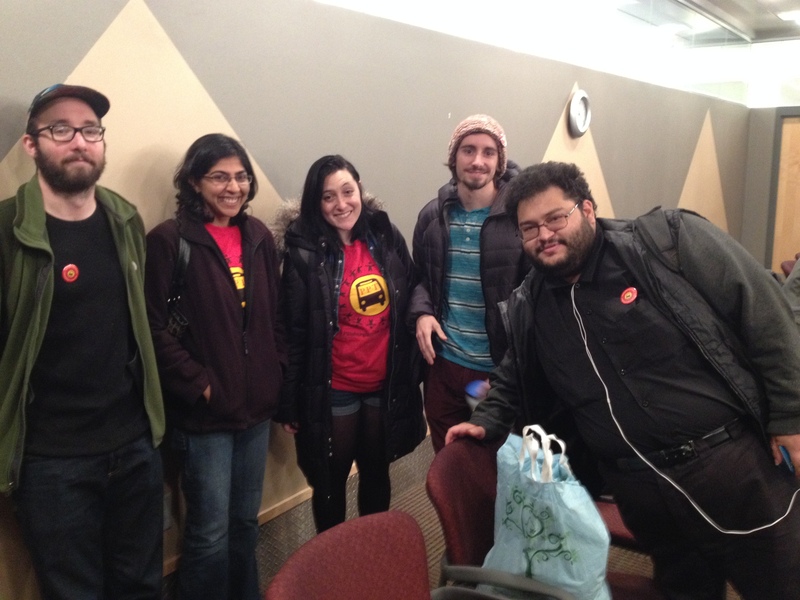 It’s an issue of equity, when you are forcing people to switch to a cashless fare system that involves paying a premium if you are paying with cash,” said Chandana Cherukupalli, a community organizer with advocacy group Pittsburghers for Public Transit. Port Authority statistics show as of January, 8.7 percent of riders used cash. That’s a decline from January 2016, when 14.44 percent of riders paid their fares with cash. “Laura Wiens is director of the nonprofit Pittsburghers for Public Transit, or PPT. She told a recent meeting of the URA board that she was troubled by how the service cuts came to be included in the proposal in the first place. 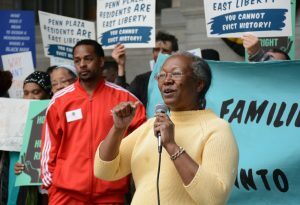 “Speaking at a recent Allegheny County Council meeting, Rankin resident Pearl Hughey said the plan disenfranchises people. 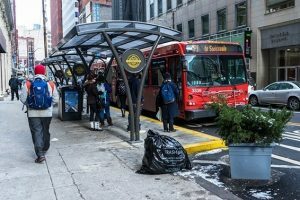 A petition asks Port Authority to reconsider the service cuts, which would take effect when the agency’s planned Bus Rapid Transit system begins operating. It has been signed by the borough councils of Wilkinsburg, Rankin, East Pittsburgh, North Braddock and Swissvale and Duquesne City Council. The mayors of Homestead, Duquesne, North Braddock and Wilkinsburg also have signed on. The group Pittsburghers for Public Transit has organized rallies and urged people to attend Port Authority meetings to share their concerns since May. It turned to Allegheny County Council this week for help. 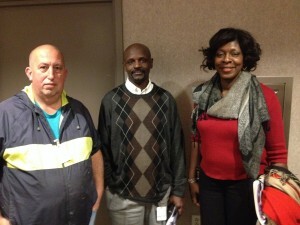 About 15 people made public comments about the proposed service cuts at a county council meeting Tuesday night. “It will negatively impact my community. 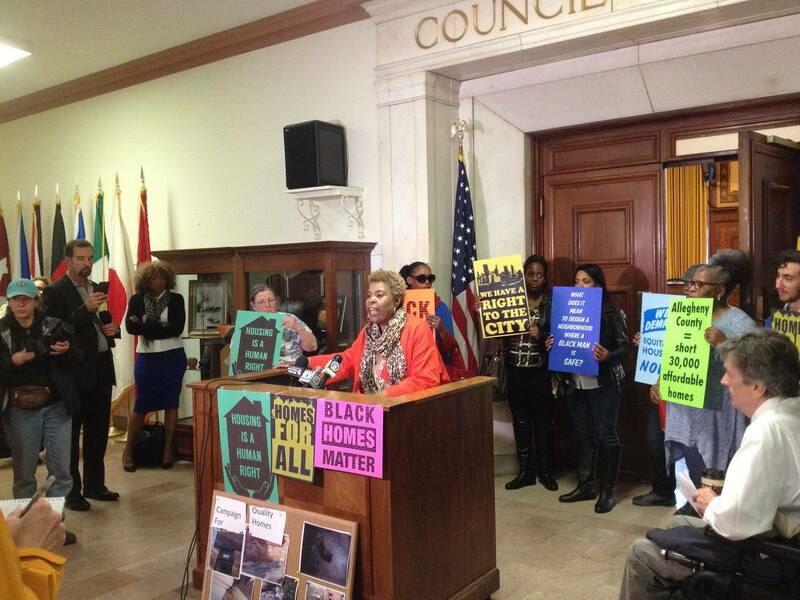 In fact, it will cripple it,” Duquesne Mayor Nickole Nesby told council members. No one on the council responded publicly to the concerns, but they spoke with some of the speakers afterward, said Laura Wiens, director of Pittsburghers for Public Transit. “It seemed like they were learning about the proposed service cuts for the first time, and many of them took notes,” Wiens said. “They are isolated in that part of the area, people trying to get to downtown Pittsburgh will be heavily impacted,” said Helen Gerhardt with Just Harvest, a community-based organization helping low-income families. She told Channel 11 the organization supports improving Port Authority bus services, but she thinks the changes to the selected routes will hurt thousands in the Mon Valley communities who rely on public transportation the most. “We don’t feel the Port Authority is counting the low income people, especially those low-income people who transfer multiple times a day,” she said. They want data released showing how service changes will impact the Mon Valley and for Port Authority to slow down its timeline. “We are asking County Council to have hearings about the cuts to to 61ABC that would impact low-income people and seniors,” Gerhardt said. 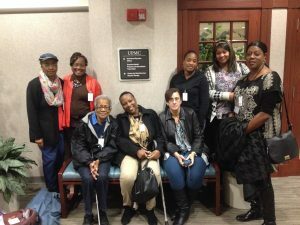 “Pearl Hughey and her grandchildren recently watched a movie about Rosa Parks. She told Allegheny County Council members Tuesday night that the youngsters asked her a lot of questions about what happened on that bus in Montgomery, Ala., in 1955. Check out the Public Source live feed of this past weekend’s community forum to discuss the possible impacts and concerns around the Amazon HQ2 proposal. PPT director Laura Wiens pointing out the importance of transit to thriving communities, and what Amazon HQ2 could mean for the lives of Pittsburghers, transit, and affordable housing in the city. 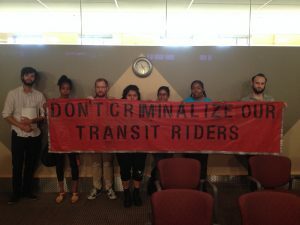 • Transportation justice: Every person in every neighborhood regardless of age, race, class, gender or disability should have the right to safe, convenient transportation at an affordable cost. • Workers justice: The workers who build public transit infrastructure, who operate and maintain the systems and who get us where we need to go have the right to safe, decent working conditions and family-supporting incomes and the right to choose to be represented by a union. • Community justice: Cars, trucks and other transportation emit a large proportion of our dangerous pollution, causing asthma and many other life-threatening conditions. Replacing cars and trucks with public transit is far healthier for individuals and communities. A just transit system will provide all communities fair access to the jobs and amenities of metropolitan areas. • Climate justice: The lives and futures of Americans and all people are threatened by devastating climate change. As a U.S. federal court recently declared, all people have a right to a stable climate. That will require a rapid cut in the burning of the fossil fuels that emit the greenhouse gases that cause climate change. And one of the easiest, fastest and cheapest ways to do that is public transit run on clean, renewable energy. Laura Wiens suggests that the public authorities “have a small fleet of autonomous cars, to guarantee the accessibility of this means of transport to all”. Another aspect particularly irritates the mayor, who signed the Paris agreement: that Uber vehicles are not electric. Routes 71 A, B and D and routes 61 A, B and C would no longer go straight to Downtown, but a different route could be amended that would, such as the P7 or the P71, said Jim Ritchie, Port Authority spokesman. “Like in East Liberty, like in the Lower Hill, taxpayer money is being used to pay for big developments that will make it harder for low-income communities and communities of color to access their basic needs” said Laura Wiens, director of Pittsburghers for Public Transit. 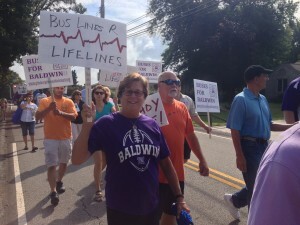 “The bus line is a lifeline” was the chant they sang all morning, and that’s the gist of the stories told by people who say these changes would be bad news. 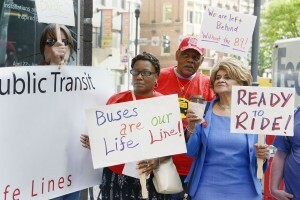 “Carrying signs and chanting, several dozen residents of the Monongahela Valley gathered Downtown Friday morning to protest expected cuts to bus service. They say plans for a Bus Rapid Transit system between Downtown and Oakland would cut the frequency of service in communities such as McKeesport, Braddock, Rankin and Swissvale. They want the agency to rethink plans for $295 million system. 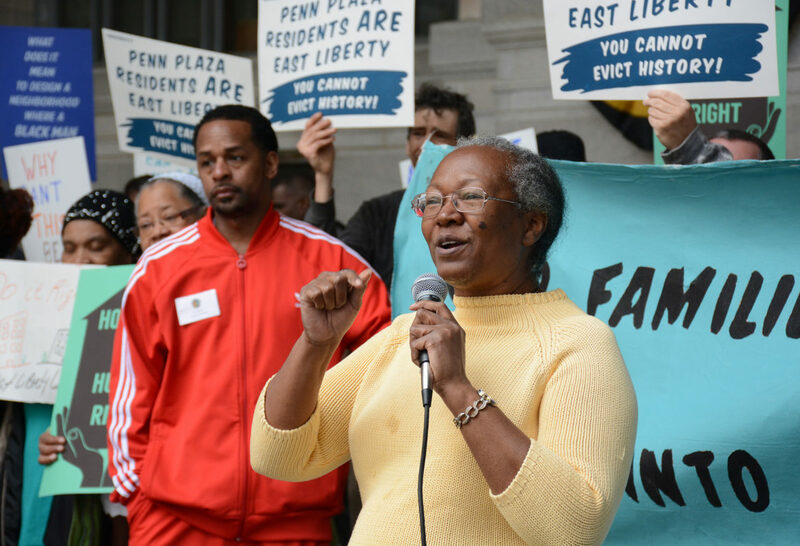 Crystal Jennings, housing/transit organizer for Pittsburghers for Public Transit, said that in some city neighborhoods, affordable housing is being removed and not replaced or it is being replaced with a much smaller number of affordable units. “If Amazon comes here, we’re going to be like another New York City. At least that’s how I feel,” she said. “GAVIN: There were some changes last year. The switch to a one-zone fare system and steps toward a cashless fare system on the light rail plus a proposed enforcement of payment on the light rail which became a bit controversial. Critics say that armed PAT police would be enforcing it. Where do you stand on it? Will she re-evaluate what is already been put out there? For too long, development has driven poor people out of neighborhoods, said Mel Packer of Pittsburghers for Public Transit. “For more than seven months, a coalition of groups has told the authority about the potential deadly outcomes of confrontations between armed officers and riders who don’t understand what is going on: public school students, new immigrants who don’t speak English or those with mental disabilities. The coalition has pointed out numerous other cities that use civilians for fare enforcement, treat it as a civil matter similar to a parking ticket and have no greater problem with fare evasion. 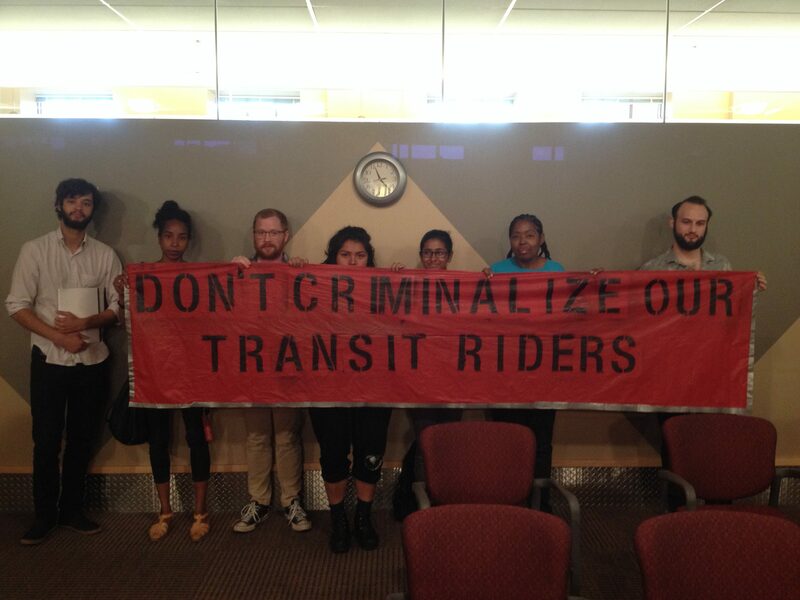 Public transit advocates, too, also began mobilizing shortly after the budget announcement. Laura Wiens, who works with the group Pittsburghers for Public Transit, said her group would push back against the proposal and fight to help keep the Port Authority funded. She noted that more than half of the people who travel Downtown use public transit and that those who are most vulnerable will be hit the hardest. September 1st, 2017 The Port Authority’s quarterly route changes go into effect Sunday, including long-awaited service to a West Mifflin apartment complex. Mifflin Estates, a 201-unit Section 8 housing complex, has not had bus service since 2009. Residents attended Port Authority meetings to ask for the service addition since October, with help from Pittsburghers for Public Transit. 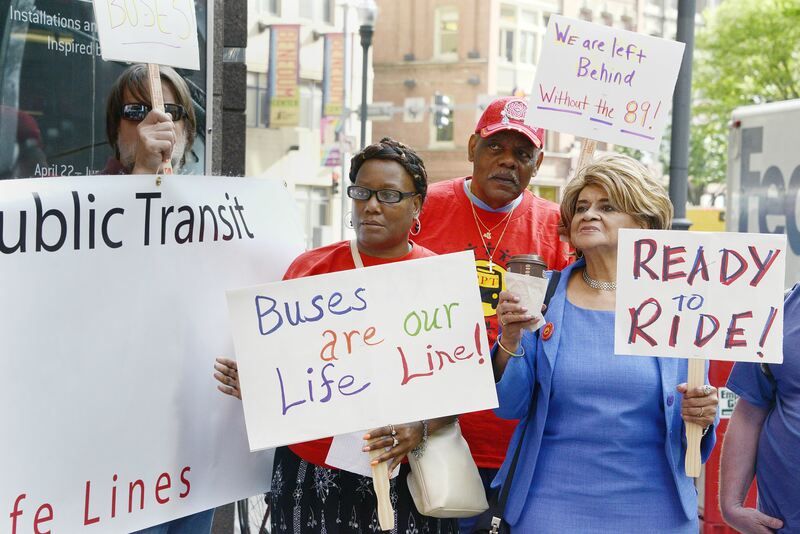 August 31st, 2017 “So far, they have only had community discussions in the places that stand to benefit from the BRT and not the places that are entirely bearing the negative impacts of it,” said Laura Wiens of Pittsburghers For Public Transit. “Some groups like the higher density. For example, Pittsburghers for Public Transit has been pressing for affordable-housing requirements at a proposed redevelopment of Lexington Technology Park, a 16-acre site that housed government agencies on the eastern edge of the city. “Mamadou Ndiaye, an intern for Braddock, said the changes would put a burden on the borough’s many low-income residents traveling Downtown for access to health providers and other services. “The group recently presented the authority with a letter calling for the agency to allow groups to participate in the process and identifying the qualities it wants to see in a new CEO. “We respectfully request that, as an important public asset, the public be given an opportunity to weigh in on the final selection of a CEO,” Laura Weins of Pittsburghers for Public Transit wrote. 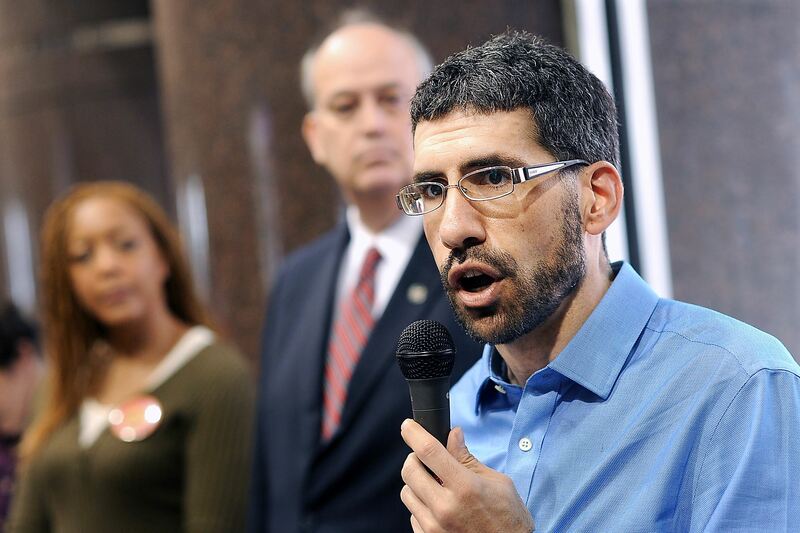 The group recommended that “labor, riders, policy advocates, neighborhood groups and foundations” be involved in the initial screening process for a new CEO. Then, finalists should participate in a public forum and take questions, much like some school districts and universities do before selecting a new leader. “Amy Risko, a hospice nurse, said she and many co-workers use public transit. At least three times in recent months, she said, the collection box on the light rail car wouldn’t read her prepaid card. “’Obviously, we think delaying is the right thing to do if the equipment isn’t available yet,’ said Laura Wiens of Pittsburghers for Public Transit, one of four groups in the coalition. “’The warning signs about Uber’s questionable business practices were all over the place, and the mayor should have recognized that and worked harder to create a partnership that was more equitable,’ Ms. Nichols said. “Molly Nichols of local advocacy group Pittsburghers for Public Transit is concerned about the frequency of ride service to these towns. The BRT will likely make local service less frequent, she said, adding that the outreach to these communities discussing this possibility has been lacking. 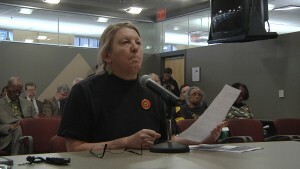 “Molly Nichols, director of the advocacy group Pittsburghers for Public Transportation, also raised the issue of ConnectCard machines not working. “’We’re talking about for less than $5, we’re going to give people a citation up to $300,’ Brandi Fisher of the Alliance for Police Accountability said during a presentation about the policy before training began. ‘We’ve already seen across America where very small incidents can lead to someone’s death. “A coalition of groups concerned about Port Authority’s plan to use armed police officers for fare enforcement is turning up the heat against the policy. “Molly Nichols, of transit-advocacy group Pittsburghers for Public Transit, sees potential upsides too, like congestion reduction. She points to Port Authority statistics showing that buses make up only 4 percent of vehicle traffic on the Fifth-Forbes corridor, even though 51 percent of people arriving in or moving through Oakland get there via bus. “We already know the stop spacing is proposed at one-third of a mile, and that could be a real issue for riders with mobility challenges. We are concerned not just about whether transfers would be free but also about the fact that so many riders would have to transfer. And we already know the local routes would come less frequently and are very concerned about that. “We had concerns about Uber and its relationship to the city from the beginning,” said Molly Nichols, director of Pittsburghers for Public Transit. “While we appreciate that the mayor is sharing his concerns, we think that should have been part of the conversation from the beginning. “All of these big shifts with little public notice has made some advocates wary of the board-appointee process. Molly Nichols, of the public-transit-advocacy group Pittsburghers for Public Transportation, wonders why these big decisions happened so quickly and relatively quietly. She is calling for more transparency when board members are appointed. “An effort by residents of a West Mifflin housing complex to reinstate bus service there could be getting a boost from elected officials. Allegheny County Council on Tuesday will consider a motion to formally urge Port Authority to reinstate bus service to Mifflin Estates. The service was discontinued in 2009. Pittsburgh Housing Activists Protested Downtown. What are They Looking For? “Randall Taylor thinks Pittsburgh has a problem — a development problem. Seeing tax burdens growing for seniors and people losing their homes in Lawrenceville, South Side and East Liberty — which are often deemed hot, up-and-coming neighborhoods — Taylor notices a pattern in Pittsburgh’s growth. ‘They’re leaving behind those who built those very neighborhoods,’ said Taylor, a 50-year-old who was forced out of his Penn Plaza apartment in East Liberty a year ago. “Citing the reports of the close relationship between Pittsburgh’s mayor and Uber’s CEO, Tom Conroy, a Port Authority bus driver and member of Amalgamated Transit Union Local 85, thought Peduto needed to quit ‘kowtowing’ to Uber and show more transparency in his decision making. In December 2016, PennLive reported that Peduto, as part of the city’s application for a competitive $50 million federal grant for infrastructure improvements, offered Uber access to the city’s busways in return for a $25 million investment in Pittsburgh’s infrastructure. “Laura Wiens, a member of Pittsburghers for Public Transit and the organizer of Saturday’s protest, said they believe Uber’s public opposition to the ban and subsequent actions are just a reaction to bad press. “Protesters called on Uber to pay drivers a living wage, comply with the Americans with Disabilities Act and allow workers to unionize. Tom Conroy, a Port Authority bus driver and a board member for the Amalgamated Transit Union Local 85, agreed. He said as Uber’s technologies displace jobs, the company has an obligation to ease the transition. “A vote on the preliminary land development for 9.3 acres in East Liberty — known for the dislocation of residents of the Penn Plaza Apartments earlier this year — was postponed Tuesday evening after a lengthy hearing. “Scores of Pittsburghers urged the city Planning Commission on Tuesday to reject, or at least delay, a Downtown real estate firm’s plans to build high-end housing on the site of a shuttered low-income apartment complex in East Liberty, attacking the project as gentrification. What Can be Done to Expand Public Transit to Underserved Communities? 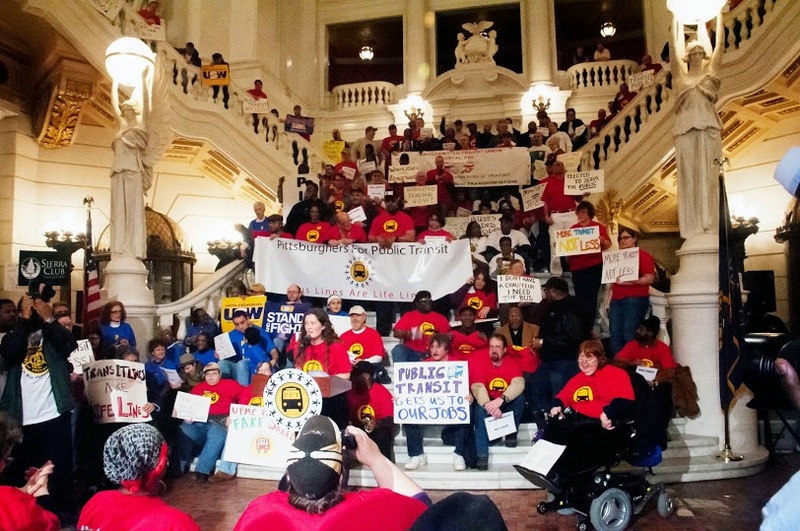 “However, Nichols, of Pittsburghers for Public Transportation, points out that public-private partnerships also mean giving public money to private companies that don’t always look out for their workers. Nichols would rather see Port Authority expand because being a bus driver is a “family-sustaining” job that low-income residents have access to. To build out Port Authority’s current system without affecting low-income families, Nichols’ group believes the county should tax corporations. The group submitted a white paper this March requesting a county tax on corporate profits to increase funds for public transit. PPT cites the nation’s growing corporate profits and shrinking corporate-tax revenue over the years as reasons corporations should contribute. “LaKeisha Bighum had finished her shift at the Allegheny County Jail only a few hours before she testified to the Port Authority board Friday morning. But Bighum, a single mom of two and resident of a Section 8 community in West Mifflin, said it was important for her to show up to urge the board to restore bus service to her neighborhood. “Resident Maria Green, who moved back to West Mifflin from Chicago recently, said she takes home $244 every two weeks at a weekend job but has to spend $40 each weekend to pay for a ride to the nearest bus stop. She tearfully told the board she also needs radiation treatment five days a week for breast cancer and has trouble getting there. 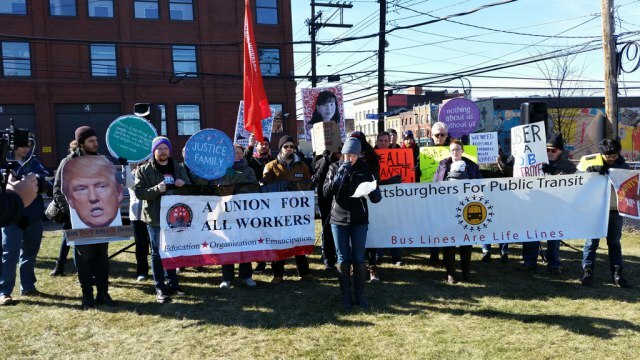 “Molly Nichols, a community organizer of Pittsburghers for Public Transit, said the event will highlight the expanded service and acknowledge the efforts to reach a common goal. 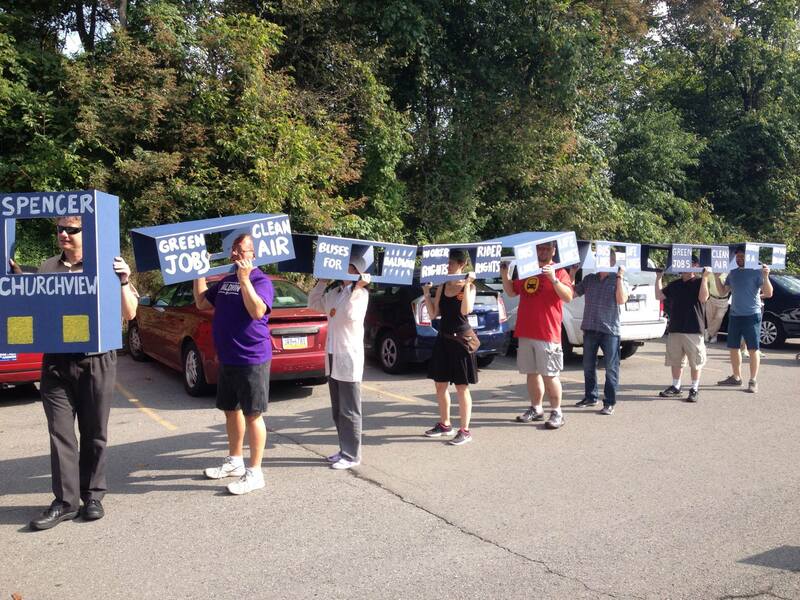 Several community-based groups implored the Port Authority to “green” its fleet as much and as soon as possible. 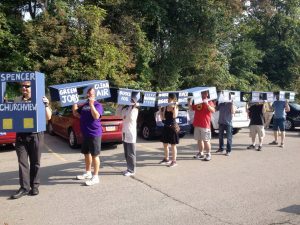 Those groups included the Allegheny County Transit Council, the Group Against Smog and Pollution, Pittsburghers for Public Transit and 350 Pittsburgh. “Renewable energy has never had stronger support from the government, corporations and the public,” said Fred Kraybill of Point Breeze, a member of the 350 group. That means requests such as daily service north of West View on Route 19, which received a high rating from from authority staff, can’t be filled. Several speakers reiterated the need for service to public facilities in McCandless such as Community College of Allegheny County’s North Campus and Northland Public Library. The Port Authority’s proposed budget for next year includes added bus lines that people with Pittsburghers for Public Transit have been asking for. The $1.3 million in the budget dealing with added routes includes weekend service to Garfield and service along Mt. Carmel road in Penn Hills. 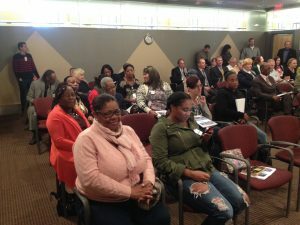 Residents and community groups who spoke before authority board members during a meeting Friday mostly applauded the $1.3 million in added services expected to start this fall. But they also said the agency needs to do more to serve areas that lost bus access when the then-financially fragile authority cut routes in 2007 and 2011. 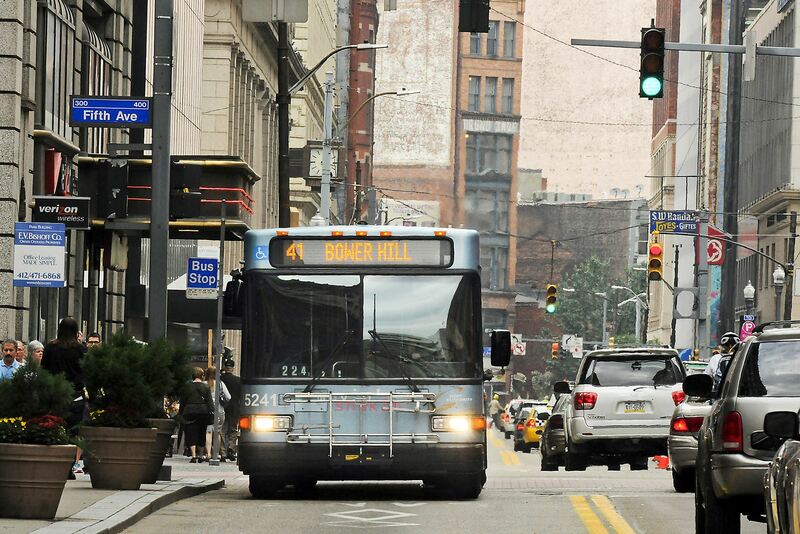 After considering 85 distinct requests from about 1,500 residents in its service area, Port Authority of Allegheny County board members proposed improving bus service for Penn Hills riders with more frequent stops and extended routes. 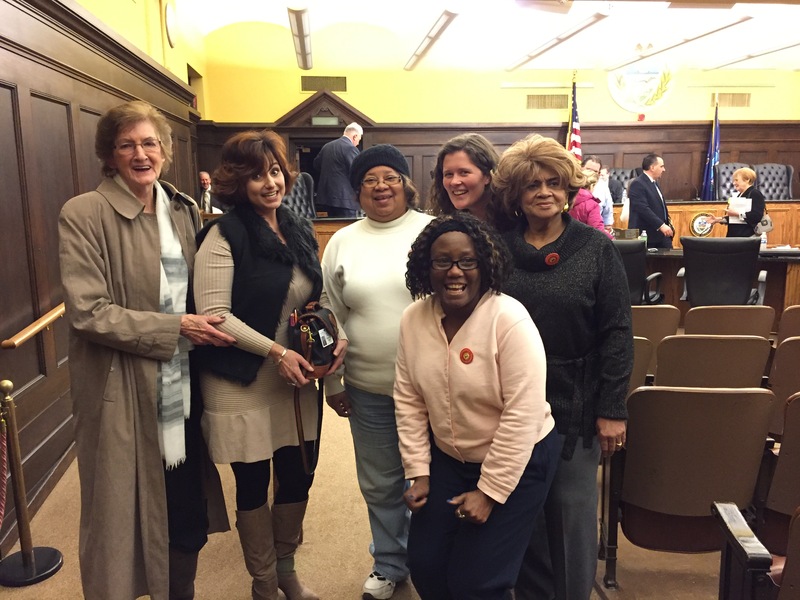 “We are glad there is this … opportunity to expand transportation in Penn Hills because it is greatly needed. 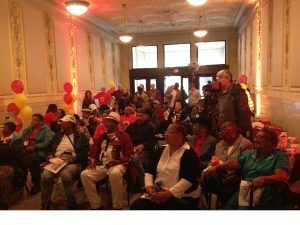 We see so many residents who struggle to get to appointments, jobs, training programs, and the store,” said Joyce Davis of the Lincoln Park Community Center and Penn Hills NAACP in a release about a news conference that the nonprofit Pittsburghers for Public Transit was to hold Downtown on Friday. But Nichols said PPT opposes the surcharges for cash-paying customers, along with the high cost of transferring for cash-paying customers. “All transfers should be free. 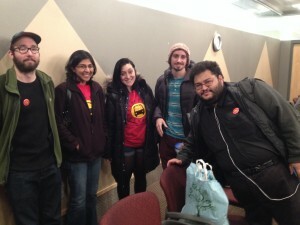 It’s not cool to be taking the last free transfer away.”- Molly Nichols of PPT. PPT is in the Nation! “People making decisions about housing need to make sure people are going to have access to transit. 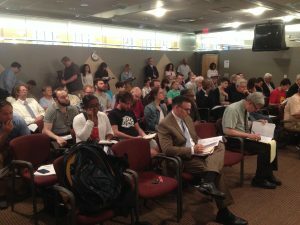 People making decisions about transit need to make sure their system is connected to places where people can afford housing,” said Molly Nichols, an organizer with the group. “Our organization thinks that those communities deserve transit service. 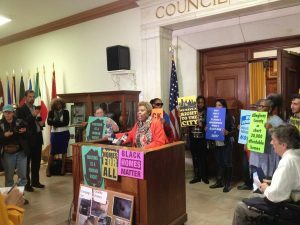 And we are concerned that more and more residents in the city of Pittsburgh cannot find affordable housing in the city, and go outside the city, where they don’t have good access to transit,” Ms. Nichols said. 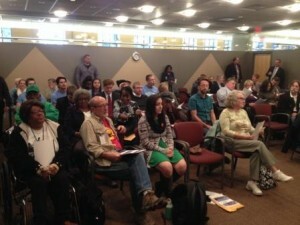 He urged the board to tackle the issue by requiring affordable housing in its transit-oriented development contracts. “Make a statement,” he said. Port Authority’s main focus isn’t housing development, but the agency plans to do what it can to make affordable housing a component of future developments built on authority property. 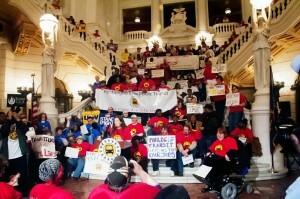 “The group Pittsburghers for Public Transit supports the idea. PPT community organizer, Molly Nichols, called in to Essential Pittsburgh to discuss the new super stop at Smithfield and 6th downtown. PPT would to thank Mayor Peduto and Envision Downtown for looking out for the 6,500 riders that use this stop everyday. Nichols was also featured on KDKA tv news to help spread information about real time technology that can help improve the experience of everyday transit users. Services like Port Authority’s TrueTime and the Transit App are available free to all riders. “Molly Nichols and Casey Stelitano from Pittsburghers for Public Transit rider advocacy group made note of the improvements during Port Authority’s board meeting Friday. They trekked over to the intersection to have riders sign thank-you cards to Mayor Bill Peduto and Envision Downtown. Bus Riders Unite for Service Rally a Success! Dozens of transit riders and community members came out to speak and to stand together in the fight for better bus service. Many testimonies and heartfelt accounts were given about the lack of service and its effect on individuals from all walks of life. Groups from Penn Hills, Garfield, and Perry Highway came out in support of transit improvements in their neighborhoods and for all those who need it. Ken Love (Penn Hills): I see young single mothers walking with their little kids, struggling to keep their kids safe, and then struggling to come back with 3 or 4 bags. Annie Howard (Perry Highway): Today we alluded to a possible trend in less ridership, which I find strange, because there is a whole room of people behind me that are clamoring for service. Del Royce Tatum (Garfield) : I would like to invite you to a weekend adventure in Garfield heights, we will go shopping, maybe the movies if you like. Please understand our plight, we have no cars, or a bus to get there. We have the 89 running Monday through Friday. But on the weekends we have nothing. We buy monthly bus passes just like everybody else, but we don’t have monthly service. You have been robbing us of our monies and are freedoms, because we don’t have bus service on the weekend. 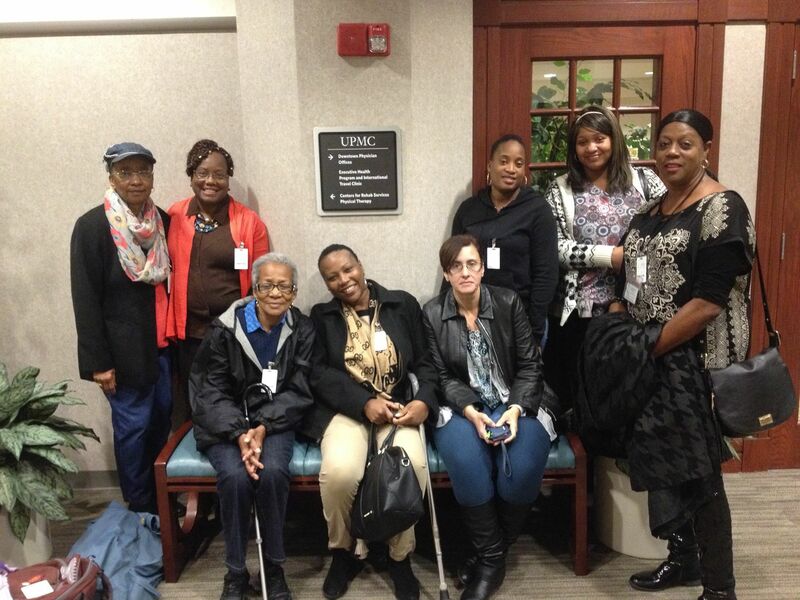 The Post-Gazette has published an article calling that PAAC’s surplus funding should go to addressing service gaps and needs. The op-ed comes after the October 23rd PAAC board meeting at which over 20 residents and community leaders spoke about lack of service in their neighborhoods. 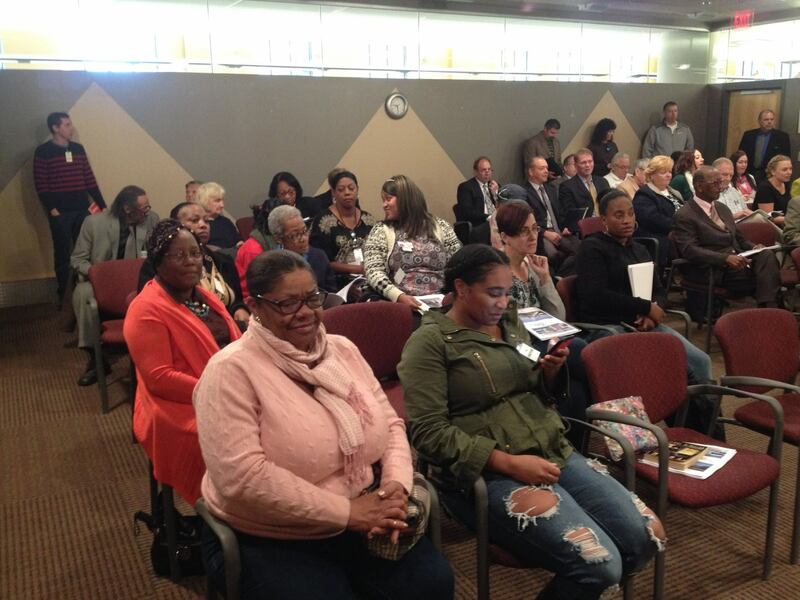 Residents from Garfield, Perry Highway, and Penn Hills came together to speak at a Port Authority board meeting to call for adequate bus service in their neighborhoods. Darnell Jones, of Groveton, speaks at the rally celebrating the renewed bus service to his community. Amalgamated Transit Union (ATU) organizer Mike Harms, 48, of Baldwin celebrates new Port Authority bus routes coming from his neighborhood and Groveton Village on Wednesday, Sept. 9, 2015 in Downtown. Pittsburghers for Public Transit held the rally to celebrate the new lines, with residents from both towns riding into Downtown to join together. A group of 81 public transportation unions and advocacy groups pushes congress to increase federal funding for bus companies in a transportation spending bill that is coming up for renewal at the end of the month. An extension of the 44 Knoxville bus line will provide service to the Churchview Avenue section of Baldwin, an area lacking public transportation since cuts were made to routes in 2011. A Port Authority board committee put the brakes on a proposed $3 fee for new or replacement ConnectCards on Thursday after a survey and public hearings showed strong opposition among riders. With the Port Authority’s release of new draft service guidelines, Allegheny County residents will soon have a say in how to improve the public transit network. “This proposal indicates the Port Authority’s willingness to listen to the voices of community members and to take steps to address their needs,” said Jonah McAllister-Erickson, Coordinating Committee chair. 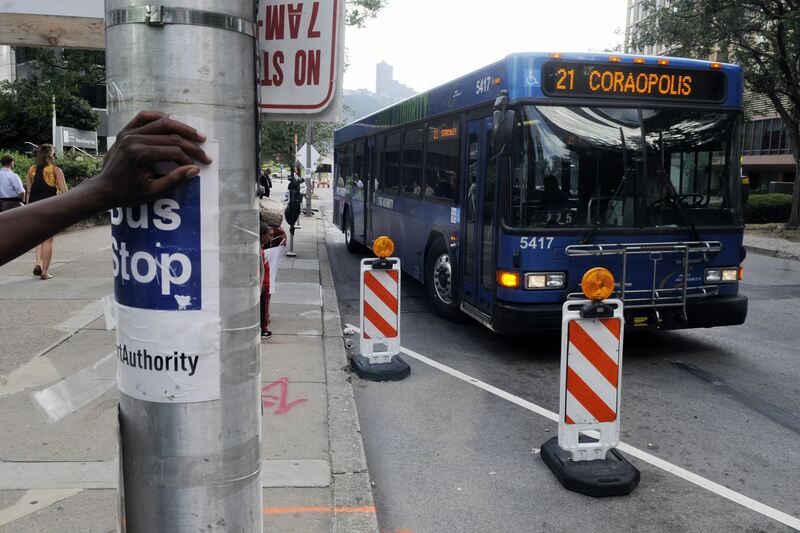 Under the Port Authority’s preliminary budget, the base bus fare would remain at $2.50. Chris Sandvig, regional policy director for Pittsburgh Community Reinvestment Group, speaks today about the importance of federal transportation during a press conference at the Wood Street T Station, Downtown. A piece by Baldwin resident, Bob Ieraci, that draws attention to the depth of his communities need for service. Trips will be added to 12 McKnight, 16 Brighton, 38 Green Tree, 56 Lincoln, 91 Butler Street, G3 Moon Flyer, P2 East Busway Short, P68 Braddock Hills Flyer and Y47 Curry Flyer. The Townshipf of Baldwin, CCAC North, and Penn State Greater Allegheny call attention to their service needs. “The Port Authority’s top priority should be serving those with little or no access to transportation”, a piece by PPT’s Nick Coles and Molly Nichols. 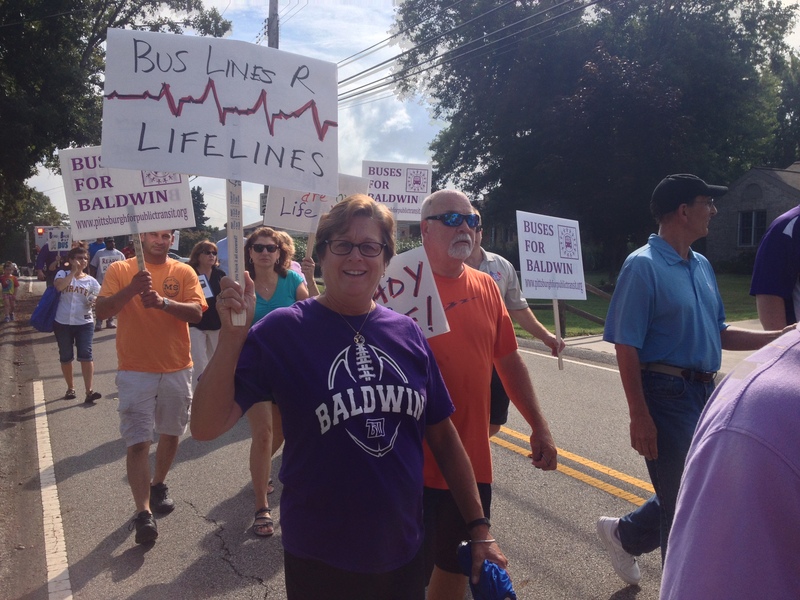 Sissy Edelman of Brentwood (back left) and Mitzie Biertempfel of Baldwin Borough, look on while Cathy Szemanski of Baldwin Borough (front left) and Louise Weil of Baldwin Borough sign a petition to bring port authority buses back to Baldwin. A piece by Alan Hart, member of Pittsburghers for Public Transit and managing editor of the United Electrical, Radio and Machine Workers of America’s UE News. PPT and Baldwin residents point out the need for adequate and effective service in their area. The Port Authority board announces it will hold a public meeting to discuss possible funding streams for a $4 million study of Bus Rapid Transit (BRT) — a project that would create separately branded rapid bus service between Downtown and Oakland. 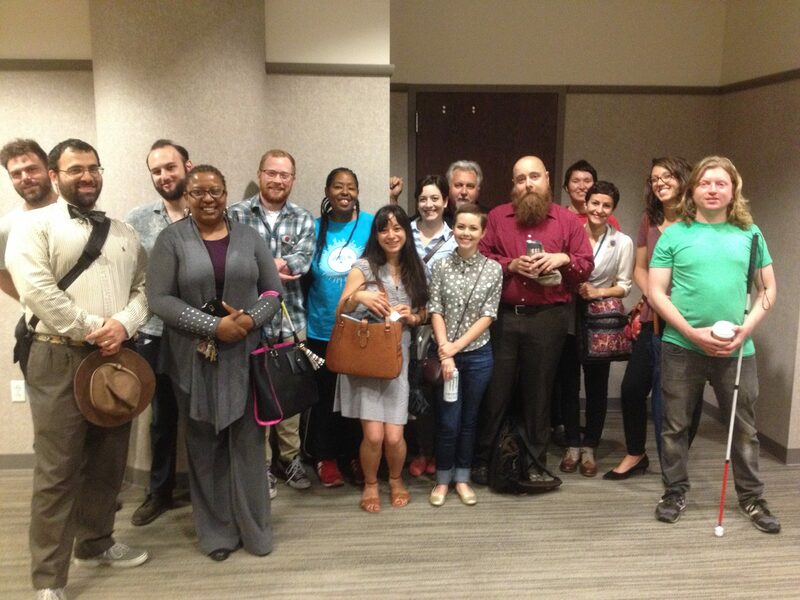 PPT celebrated the passage of the transportation bill in November of 2013, thanks to the support of people like you! The good news from the bill: no more service cuts. The bad news: it was designed for Port Authority to only “maintain existing service” and not to restore the service that has been cut over the years. This is a problem. Some residents in our county walk over 2 miles to get to a single bus stop. We’ve been mobilizing residents in these “transit deserts.” Residents from Baldwin borough have gotten together to advocate for service in their community–meeting with Port Authority and elected officials, delivering over 1500 petitions, holding a Walk for Transit in September. Port Authority is now well aware about the needs of this community just 5 miles from downtown Pittsburgh, and the campaign is continuing to push for service this year! Residents in Moon and Groveton (near Coraopolis) have also worked to get their voices heard. We know that when transit riders, transit workers, and residents come together, we gain power. In addition to these community campaigns, PPT has been advocating for more inclusive and transparent transit planning and decision-making. Port Authority is listening, and they are now working on developing criteria for how and where to add service, including a formal process for how to respond to service requests. This kind of democratic input is crucial for improving our transit system and ensuring it meets the needs of the residents of this county. PPT has also pressured county council to recognize that additional revenue from the drink tax could be allocated for Port Authority operating costs. We understand the funds are limited, but a few million dollars a year could make a huge difference in the kind of service Port Authority can provide. We have also been conducting research on sustainable transportation, equity, service needs, accessibility, ridership potential, and funding sources. We are gearing up for the next year and plan to mobilize residents in at least 3 more communities. We encourage you transit supporters to get involved in our campaigns. If you’d like to make a donation, you can do so here. Thank you for all you’ve done to support public transit, and we look forward to working with you all to ensure that we get service to these transit deserts and keep the public in public transit! Ready to Ride! Moon residents mobilize for public transit crucial to their community.